I just stumbled into this very interesting article and book by Dr. Robert Lanza, the reference in regenerative medicine, about biocentrism, a new notion that is gaining momentum. Lanza is an expert in regenerative medicine and scientific director of Advanced Cell Technology Company. Before, he had been known for his extensive research which dealt with stem cells, he was also famous for several successful experiments on cloning endangered animal species. Dr Hameroff told the Science Channel’s Through the Wormhole documentary: “Let’s say the heart stops beating, the blood stops flowing, the microtubules lose their quantum state. The quantum information within the microtubules is not destroyed, it can’t be destroyed, it just distributes and dissipates to the universe at large.” Robert Lanza would add here that not only does it exist in the universe, it exists perhaps in another universe. “Have you often found yourself moved by a fine speech or piece of poetry? Do you sometimes feel a spiritual connection to other people that can’t be explained in words? Do you think mystical experiences are just wishful thinking, or real? These questions are from the third and final subscale of self-transcendence, which Cloninger call “spiritual acceptance versus rational materialism”. Individuals who score high for mysticism are fascinated by things that can’t be explained by science. They see a loaf of breed that resembles Jesus or parking space that opens up just in the nick of time as evidence of a higher power. Often they claim to have a “sixth sense,” or extrasensory perception. They believe in miracles. 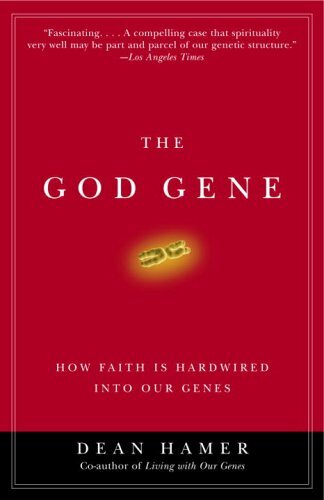 Taken from the book The God Gene by Dean Hamer, a must read, for both scorers.